Do not use regular grocery market peanut butter like you would buy to make peanut butter and jelly sandwiches! Here's why. Regular store-bought peanut butter is very high in fat, it contains sugar, salt, preservatives, and is ultimately high in calories. That sounds pretty bad. But, with its high protein content and absence of cholesterol and trans fats, it serves as a high-energy food source for people. And besides, the store brands are catering to the human taste buds. Dogs don't have the same taste requirements. This makes them rather lucky because they won't mind eating a healthier version of the same product. 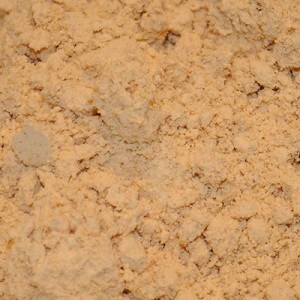 Professional dog bakeries use peanut butter powder to make dog treats. In a mixing bowl, insert pealed banana and mash well with a fork. 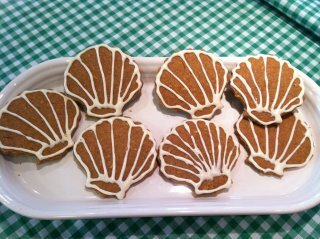 Apply to homemade dog treats or dog cake and watch out for your dog's wagging tail as she or he devours it! Not: This peanut butter icing recipe with banana is not exactly an "icing" per se, but dogs love peanut butter and bananas. 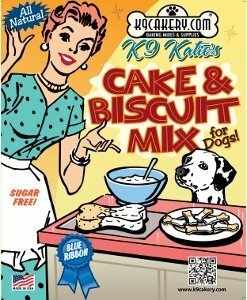 Mixing the two works to serve as a quick and easy way to create a dog treat icing. Can I make this peanut butter icing recipe without bananas? Will my pooch like it? I am having a puppy party for my pooch's birthday at a hotel in NYC. He is the birthday boy in the photo above! I am not sure if the other dogs will like it because my dog doesn't. Will this affect the icing? 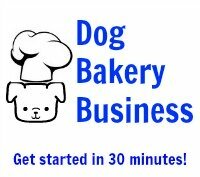 Answer: This will not affect the dog treat icing. Make a dog icing that your dog will enjoy. After all, he is the birthday boy! 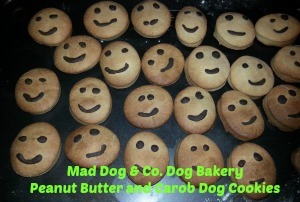 Smiling peanut Butter and carob dog cookies from Mad Dog & Co. Dog Bakery in the UK celebrate two dogs being able to be re-homed together!